Only Applicable for Premium Rooms, excluding Premium Ninjago Rooms. Subject to rate availability upon reservation. Payment must be made via UOB card and the card is required to be presented upon check in. In the absent of original UOB card, LEGOLAND Malaysia Hotel reserve the rights to charge the Best Available Rate based on the date of arrival. Promotional rate is only valid for new bookings and cannot be combined with any Other discounts, rebates or promotion. Full prepayment of the entire stay is required upon reservation. Check-in time is at 4.00 pm and check-out is at 11.00am. Promotion cannot be refunded or exchanged for cash. LEGOLAND Hotel Malaysia reserve the right to refuse, alter, amend, delete or add to the stated terms and conditions or withdraw this promotion at any time without prior notice. Additional restrictions may apply without prior notice. 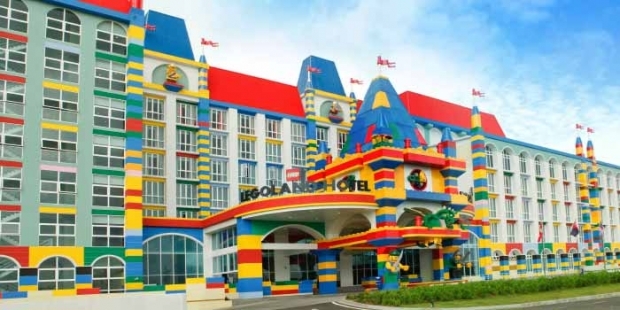 For more queries, kindly contact our Reservation team at +607 597 8888 or Email: LLMReservation.Hotel @legoland.my Full payment of the entire stay is chargeable immediately and non-refundable. By anticipating this promotion, you agree to the full terms and conditions stated above. Check out United Overseas Bank Promotion for more details about this offer and to see all deals up for grab!